the British International School of Houston. 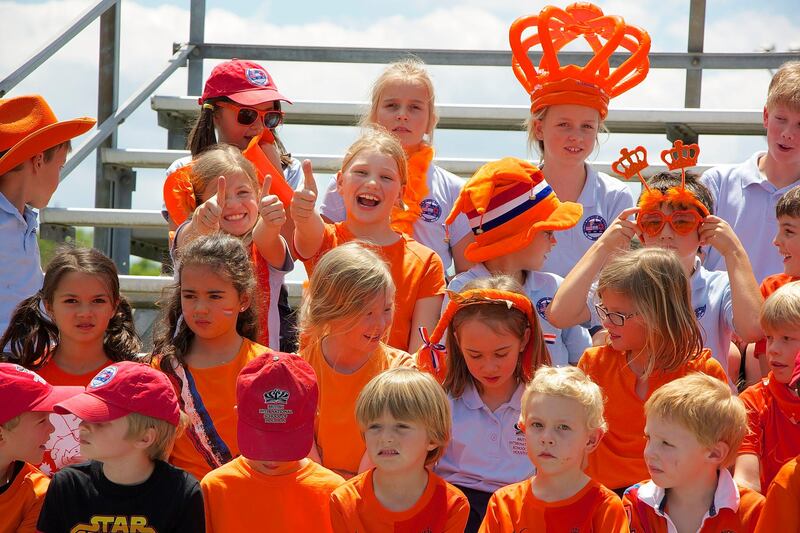 The British International School of Houston (BISH) offers Dutch Language and Culture lessons (NTC) to children with Dutch as their mother tongue. Our experienced teachers deliver the primary and secondary accredited programs up to the start of the IB-program, which is inspected by the Dutch Inspection of the Ministry of Education and monitored and assisted by the Stichting NOB (Foundation for Dutch Education Abroad). Currently the school offers NTC-education for students aged 3 to 16. At this time the British International School of Houston has over 50 NTC-students enrolled. The students enjoy 4 hours of Dutch lessons per week. This is above the requirement by law and an excellent base to further develop their Dutch language skills. -> year 12 and 13: students have the option to choose either IB Self Taught Dutch language A or prepare themselves for the CNaVT exam. For students who choose IB Self Taught Dutch language A, the BISH offers hours for study, monitoring and consultation, within the curriculum. The CNaVT certificate gives students access to most Dutch and Belgian universities. This exam is not part of the BISH curriculum. In years 3 through 7, the children work with the curriculum named “Taalverhaal.nu”. In year 8 and onwards, the students use the curriculum called “Nieuw Nederlands”. The combination of these two methods work well in bridging the entire curriculum and has proven to be very successful. Both Primary and Secondary Education students are regularly tested. The school has an ever growing library with Dutch primary and secondary school books. Each year new books are added to ensure an up-to-date broad collection. Apart from the regular lessons, the Dutch teachers organize cultural events such as “Sinterklaas” and a huge “King’s Day”-celebration, which are thoroughly enjoyed not only by the Dutch children but also by the rest of the school’s students and faculty. In addition cultural lessons are provided as an after school program to teach children about the geographical and historical facts of the Netherlands. If you have any questions, please do not hesitate to email the board of NTC at the BISH via: NTCBritishSchoolHouston@gmail.com.